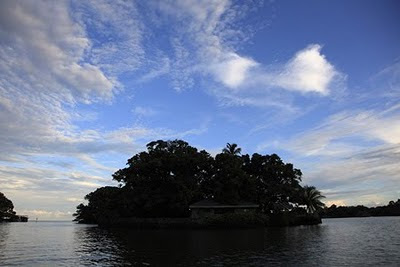 It’s probably safe to assume that most people have dreamed of owning their own private island at one time or another. In Nicaragua it’s possible. 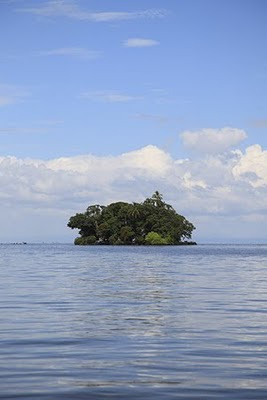 Las Isletas, an Archipelago of 365 Islands near Granada on Lake Nicaragua has many for sale. They sit in the shadow of Mombacho Volcano, which gave birth to the islands 10,000 years ago and because of rich volcanic soil are jungle clad mini tropical paradises. Nicaraguans own only about 10%. The rest have been sold to foreigners from all over the world who have built vacation homes, some of which are decadent mansions. There are still quite a few empty islands with for sale signs. If buying isn’t in your budget there are a handful of hotels and restaurants on some of the islands. 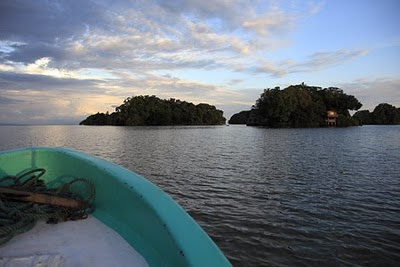 Taking a boat ride through the Isletas is a classic thing to do while staying in Granada, Nicaragua’s colonial jewel. An hour boat ride will set you back about $10 per person. I'd love to discover all those little wild islands... I like your blog, what about a link exchange with my travel blog?cheers from Florence! Sounds blissful! I would love to own my very own island. Any idea what the price range is for the islands? Haha, that would be pretty nice but difficult to drill a well, get groceries, etc. Was that second picture taken with a fish-eye lens? Really great photos. Hi Claudia, Glad you like. Will "stop by" shortly. Mike, From what I could gather depending on size and if there is already a house built you could expect to pay upwards of $100,000. The second photos was taken with a wide angle, but no fish-eye. Islands for sale? Don't tempt me. I think my huspand and I could pool $100,000 to buy our own island and escape the arctic weather for good. I have seen a travelreport on tv about this. Looks very nice, and a big variety of different island. Fly Girl, What a brutal winter it has been. Ana, Would love to see that show and what they said about the islands.